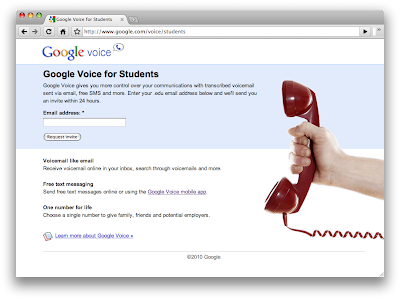 We’ve found that Google Voice can be useful in many different ways to many different people. But one group of people that it's especially well-suited for is students. We’ve heard college students in particular really appreciate getting their voicemail sent to their email, sending free text messages and reading voicemail transcriptions rather than listening to messages (especially handy while in class).